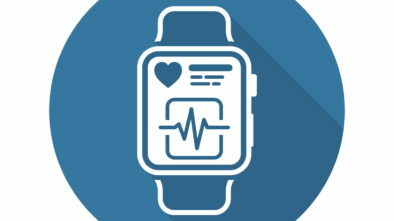 There is considerable excitement in the field of healthcare these days over blockchain technology–an entirely new model for health information exchanges. Blockchain technology will make medical records more consistent across facilities, more easily exchanged, and far more secure against criminal minded individuals. Already a great deal of experimentation has been conducted, with some very promising results having been yielded. Blockchain technology has the potential for installing the patient at the very center of the healthcare universe, with all information exchanges carried out efficiently and securely through the member nodes of a vast medical network. Blockchain technology is an efficiently distributed system for recording medical transactions and storing and exchanging them securely. It relies on cryptography to keep information secure, so that the members of a participating network can view, exchange, and store all kinds of medical information about a patient without having any formalized trust or security protocols enabled between them. There is no real master node or member in this network, which means there is also no centralized authority. Medical transaction records are instead equally stored, distributed, and retrieved among all members of the network. All interactions with the blockchain are transparent to every member of the network, and any transaction which is proposed or requested must be verified by the network beforehand. The benefit of this is that there need not be any prior collaboration between members, and no special security considerations. However, every single transaction which is requested and approved generates an audit trail, which is plainly visible to all members. In order to assess some of the current problems which exist with the exchange of healthcare information, one has only to look at the state of affairs in the city of Boston, MA. Just within the city limits, there are 26 different systems used for the exchange of electronic medical records. Each of these has its own proprietary methods for using codes and medical language, for the representation of data, and each has its own requirements regarding the sharing of data. The information itself is widely distributed among multiple organizations, each with its own access rules, and that makes retrieving all necessary information at any given time a minor nightmare. Needless to say, that can be extremely frustrating and even dangerous to the health of a patient, especially in a critical care situation. Even when it works, the system is very unwieldy and very costly, and is far from the model of efficiency which blockchain technology promises. While storage and retrieval of medical records is not as bad in every American city as it seems to be in Boston, there’s no doubt that all cities in this country would benefit by a significant improvement in their health information exchanges. So how would blockchain technology solve all the problems described above for cities like Boston? With no centralized authority in the healthcare information network, there would be no controlling entity to bog down the information exchange process. Since all requested transactions would have to be reviewed and approved by the network, a complete decentralization of authority would be in effect, with all members having equal status, and equal access to information from all other storage nodes. While the technology itself cannot be said to be entirely mature at present, it is being developed rapidly, and it does hold great promise for the future. For instance, if universally adopted, it is likely to remove much of the current friction between members of a healthcare network, as well as the high cost of carrying out such exchanges. Since more information would be available to a doctor treating a given patient, it would seem logical that better health outcomes would be possible. With vastly improved connectivity among members of the network, the collective body of knowledge about diseases and other health issues should lead to greater insights, more accurate diagnoses, and more effective treatment of all medical issues. Of course, in order for all this to happen, government regulations would have to be imposed so that the current controlling authorities for medical records would be required to open up their medical records to the blockchain technology system. In order for blockchain to achieve anything close to its actual potential described above, there would certainly be areas where the support of federal and state governments would be crucial in moving things along. Ideally, the U.S. Department of Health and Human Services (HHS) should begin now to track the progress of blockchain technology, so that these areas of government support can be identified and addressed. That will make it easier in the very near future to establish an initial framework for participants in blockchain health information exchanges. The first wave of participants in this blockchain ecosystem could then be canvassed, so as to critique the system, and identify the elements which are working well, and those which might need tweaking. This, then, would lead to an even better blockchain system; one which would be more efficient and better adapted to the needs of the masses of healthcare agencies and organizations which could benefit the most by using it. 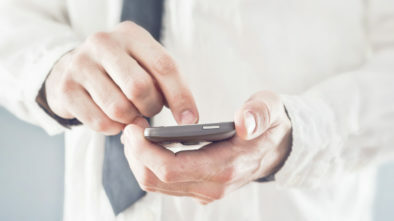 Mobile Technology: Can it Improve Healthcare?